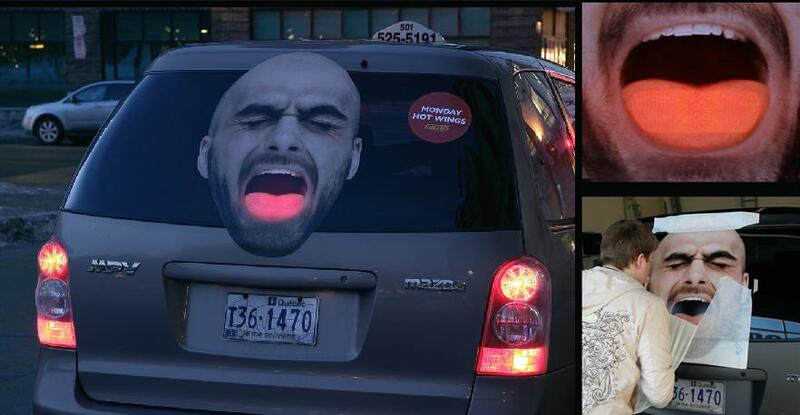 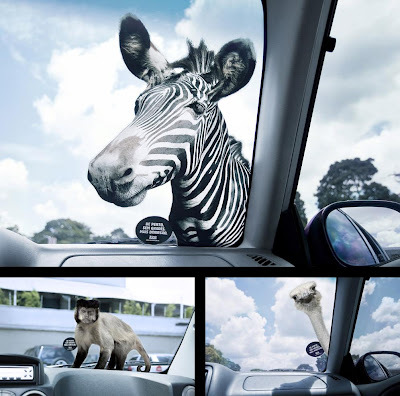 Collection of clever and creative uses of car stickers in advertisements by various companies from all over the world. Cactus Restaurant Advertisement: The stickers featuring the face of a man, with the man's open mouth superimposed on the central brake light created the effect of extreme heat promoting the restaurant's spicy dish. Exhaust Systems Advertisement: These unusual shaped stickers were placed on cars aged 5 years old or older. 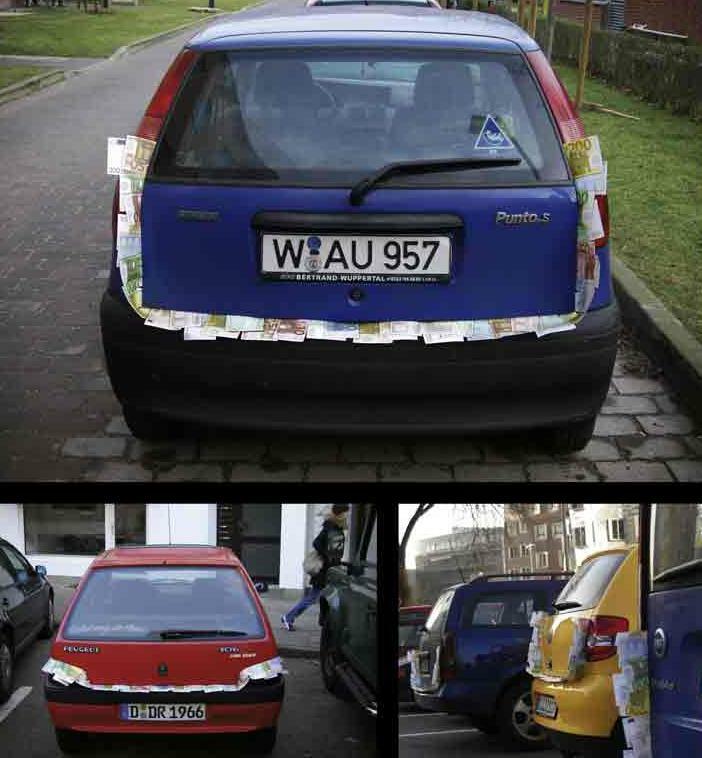 Car Wash Advertisement: To get the attention of the car owners, stickers were placed on the windshield with the message prompting car wash center's offer of on-call pickup and drop services. 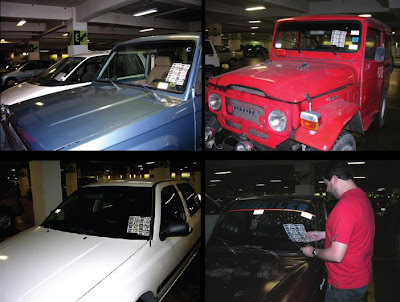 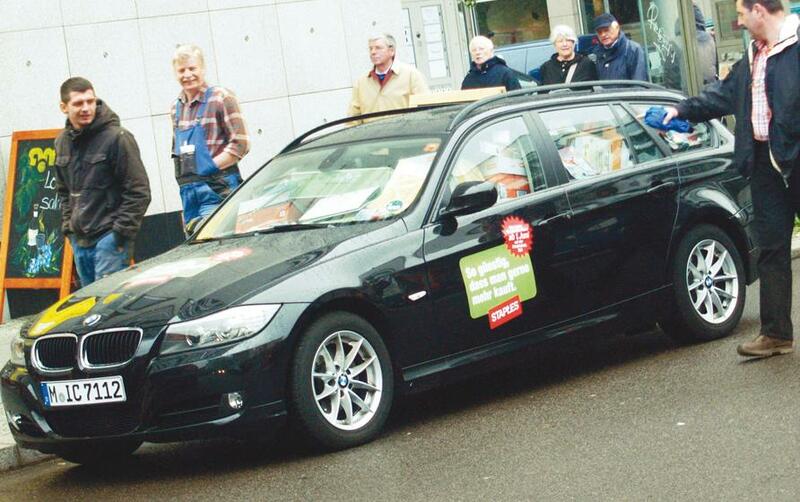 Zuritel Car Insurance Advertisement: The 'Zuritel Car Insurance' sticker challenged the existing car insurance; it had a code typed on the back of the sticker that offered the car owners special packages. Postbank Privatkredit Advertisement: Special printed-paper money was placed in the trunks of cars in major German cities to promote 'Postbank Privatkredit'. 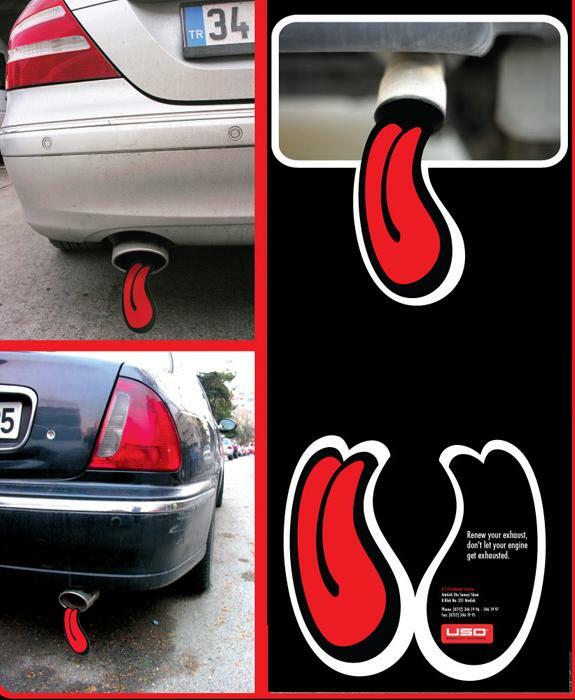 Popup Advertisement: To promote the event, the pigeon was chosen as the symbol. 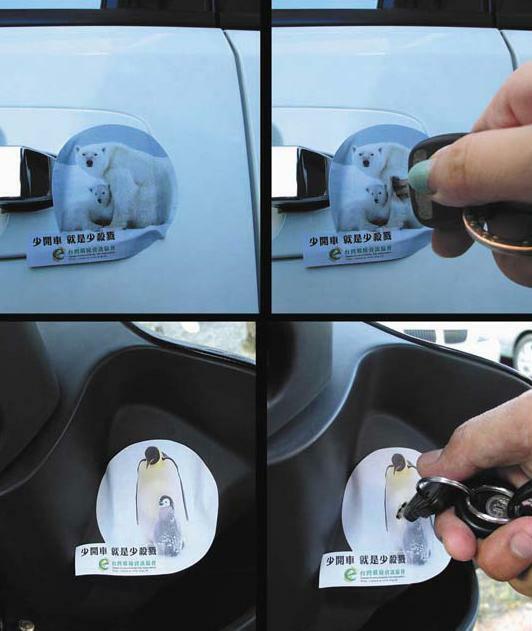 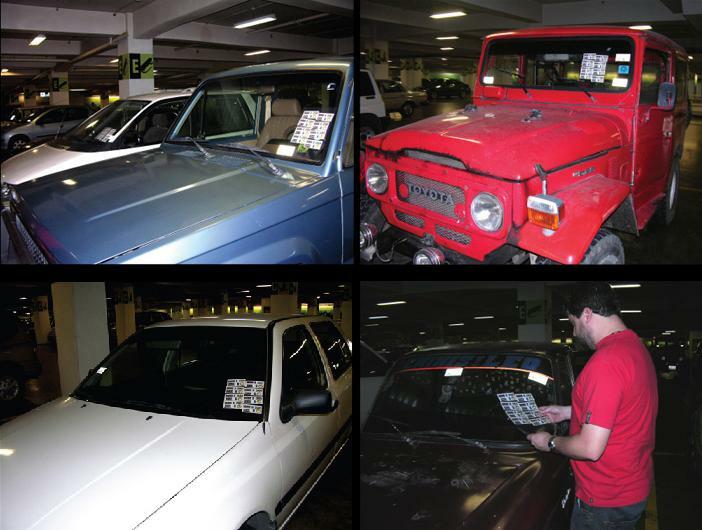 These unusual stickers were placed on cars, ATMs, and stores. 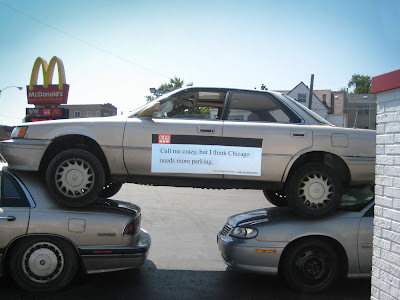 ChicagoNow.com Advertisement: Three cars were used to from a triangle with a message: "…………….., but I think Chicago needs more parking". 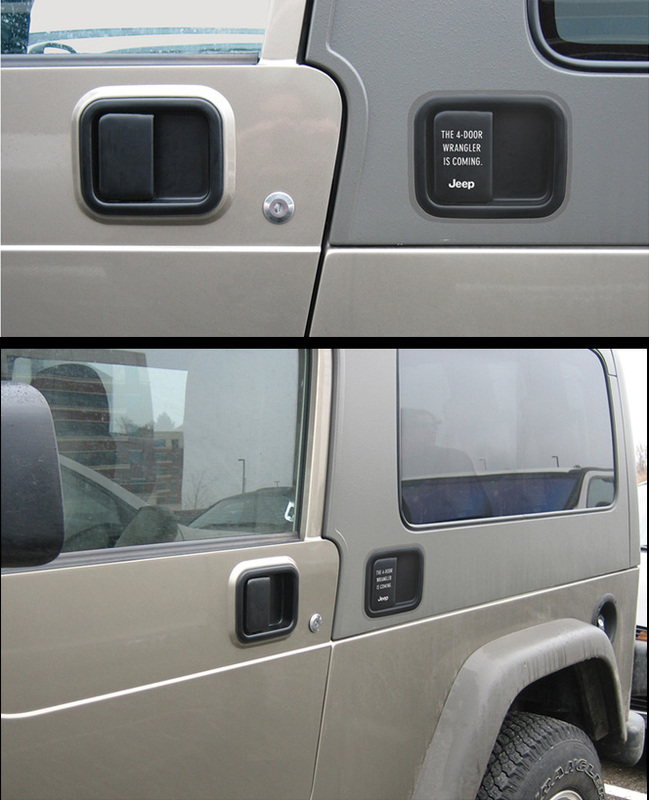 Wrangler Jeep Advertisement: To promote the launch of the new 4-door Wrangler, a cling-on that looks like door handles were stuck on parked 2-door Wranglers.